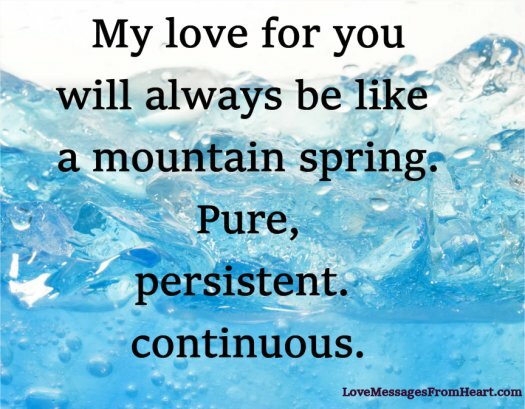 My love for you will always be like a mountain spring. My love for you knows no limits. My dear, I would do anything for you. My heart, my love, burns for you like the evening sky. My love for you is pure, loyal and enduring … you are my life. I love you, my dear. Know that this love will never waver, it will stay true to you. What would I do without you? I would be lost, like a fish in a desert; like a bird in a closed cave. As long as there is a moon, as long as there is a sun, I will always think of you.